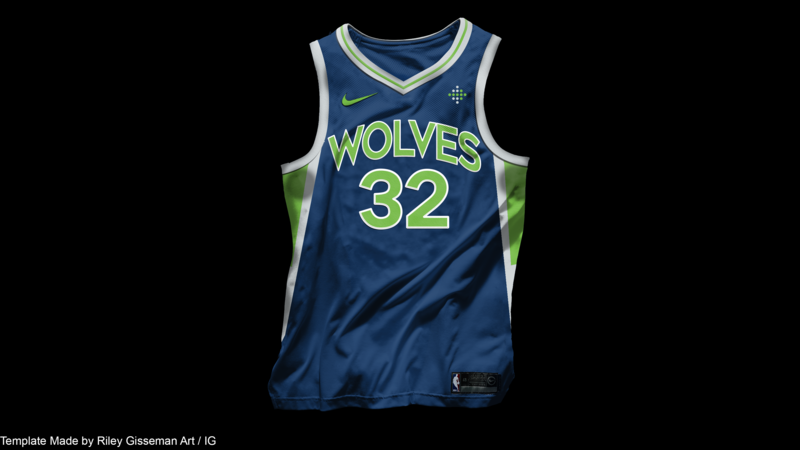 I tried to update the original Wolves jerseys from the 90s to match their new, modern design philosophy. God, that template is absolutely gorgeous. 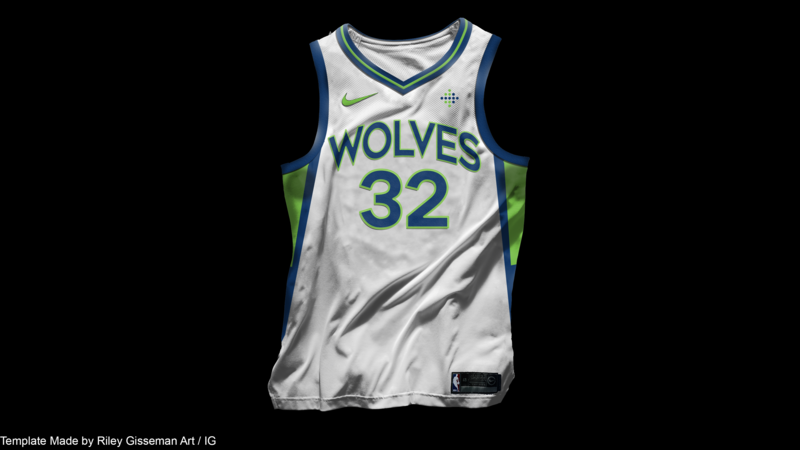 The jerseys are too. Nothing to complain about here. I'd really like to see the tree pattern implemented into Minnesota's uniforms somehow, but I've struggled so much with it in my own concepts that I can tell how I think they should go about doing it. I'd also suggest adding piping inside the armhole trim to match that of the collar trim. 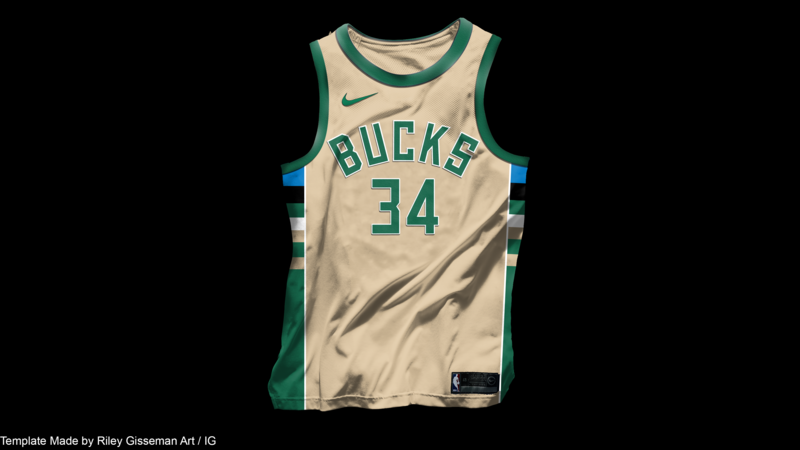 The Milwaukee Bucks jerseys you've created here are incredible -- pretty simple and straightforward, but you nailed the design and the colors are on-point! I'm back! This time focusing on the Rockets. 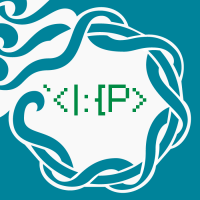 I tried to combine all the previous identities to form a unique, new take on their brand. I also got rid of the black and replaced it with the late 90s navy for a couple reasons-- to semi-match with the colors of the Texans and Astros, matching with the other major sports teams, and also to portray the image of a rocket soaring into an evening sky. Let me know what you think! I like the gradient, but the navy looks kinda out of place. I would go full gradient on the side panel in my opinion. Might be a little out there but I could see it working. Bucks look great! No complaints. 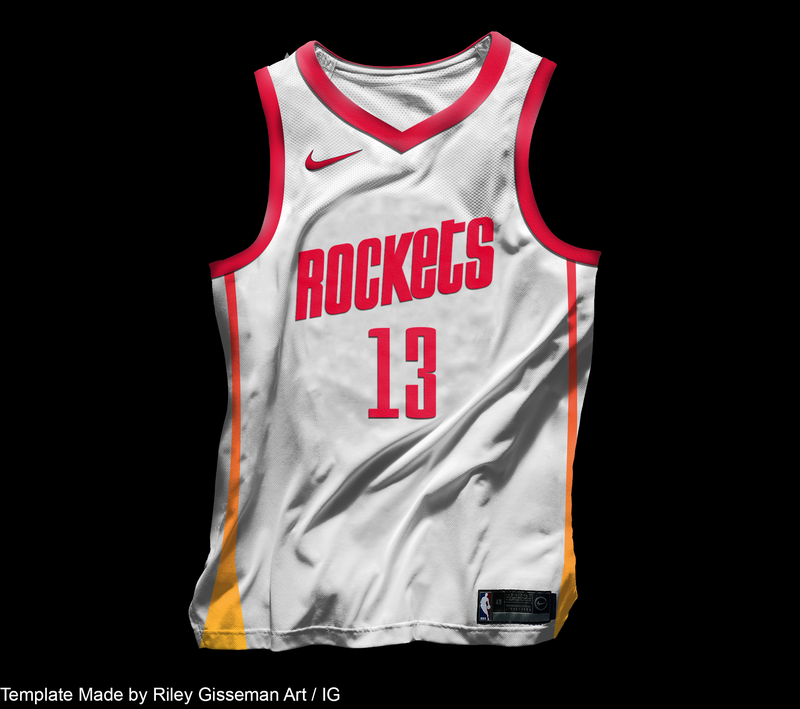 I'm quite happy to see a Tequila Sunrise Rockets concept. I second @jaytavo305; the navy is kinda unnecessary. 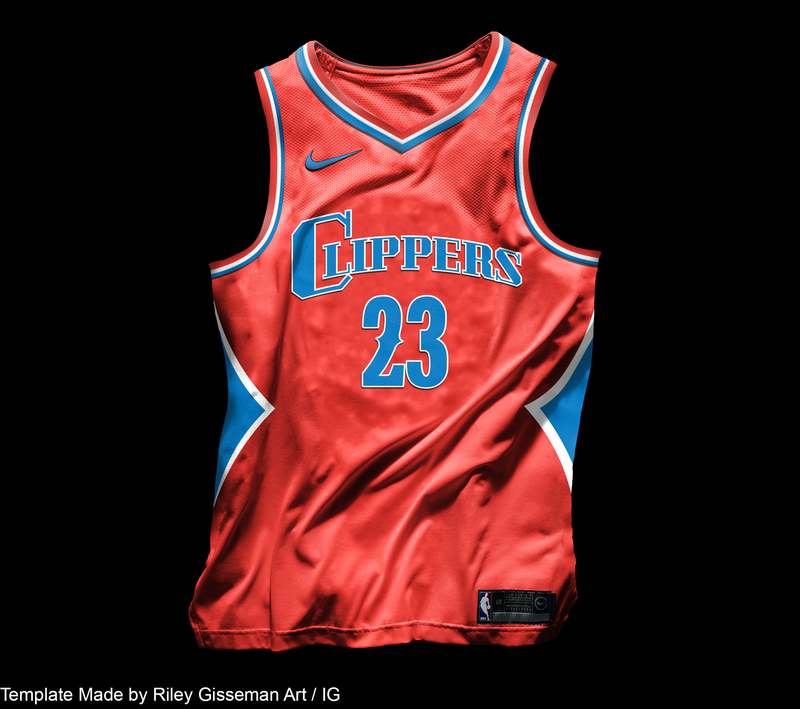 I'd flip the gradient so the red of the panels meets the red of the sleeve stripes. Take two! Tweaked the home jersey + added away and City jerseys. 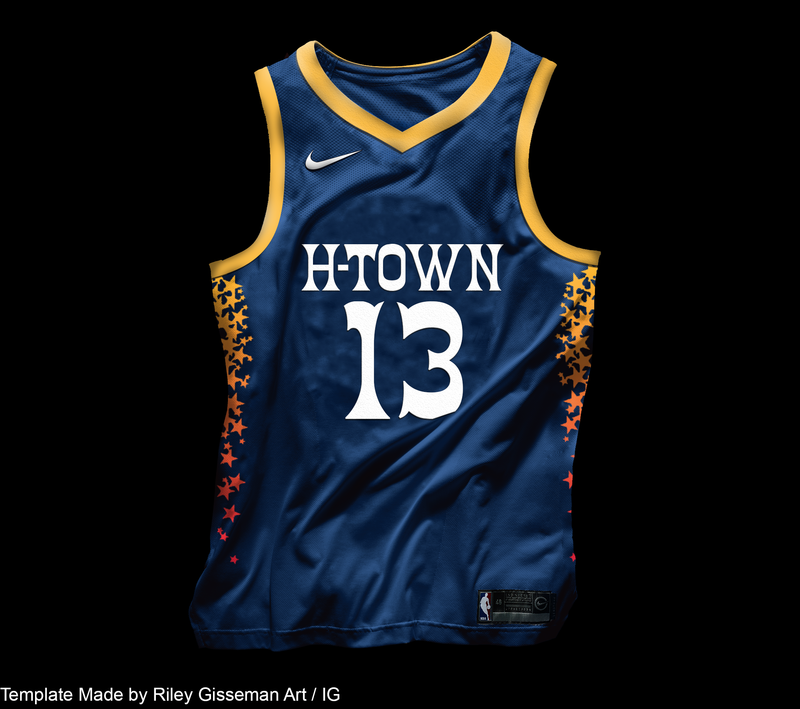 The Astroworld City Jersey I dig it!! I do think you should have some navy trim somewhere in the home and road (not calling them whatever dumb names Nike uses) if your alt is going to be navy. 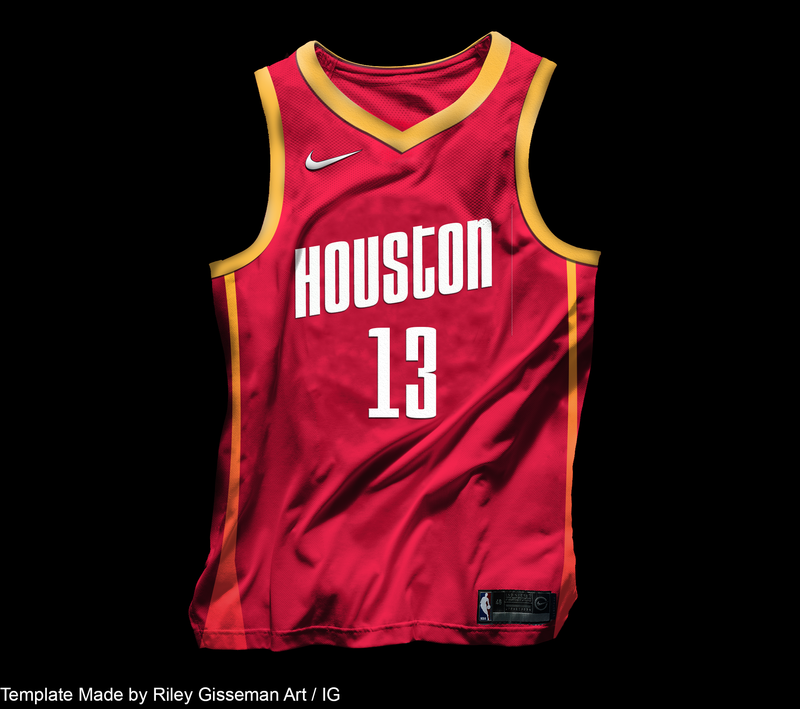 The gradients and brighter red should be enough to set them apart from the Cavs...the prominence of said red sets them apart from the Pelicans. 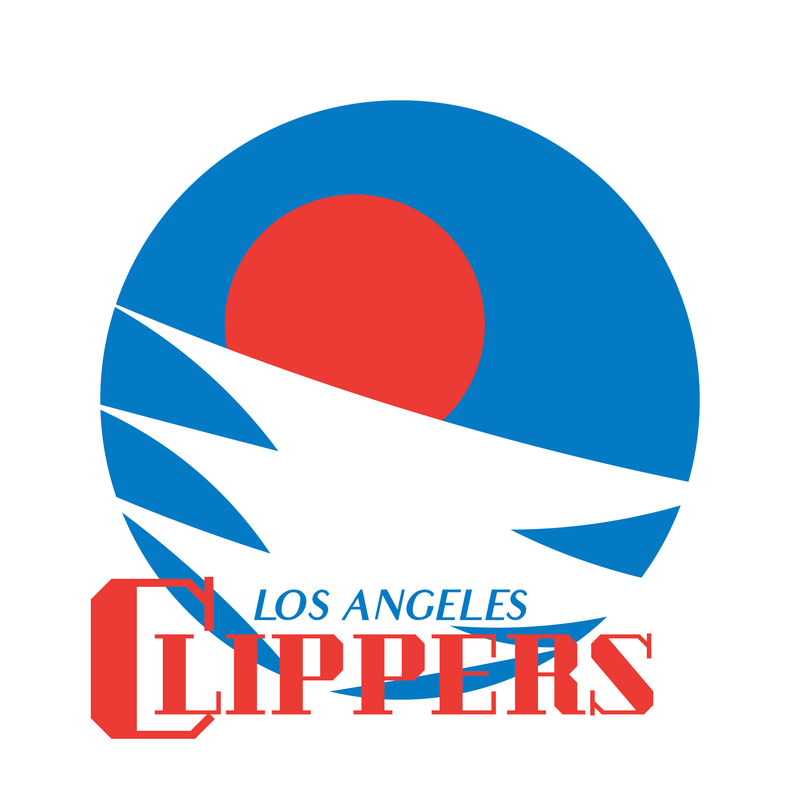 I'm afraid I have a few complaints with this Clippers set. 1) I think the main wordmark font really doesn't fit either the logo or the number fonts. Maybe use the blue jersey's number font? 2) The double-outlined script at home is really clunky. No outlines necessary, IMO. 3) The collar & sleeve striping doesn't match the side panels. I'd just go two-color stripes: red & blue on the white jersey, white & blue on the red jersey. 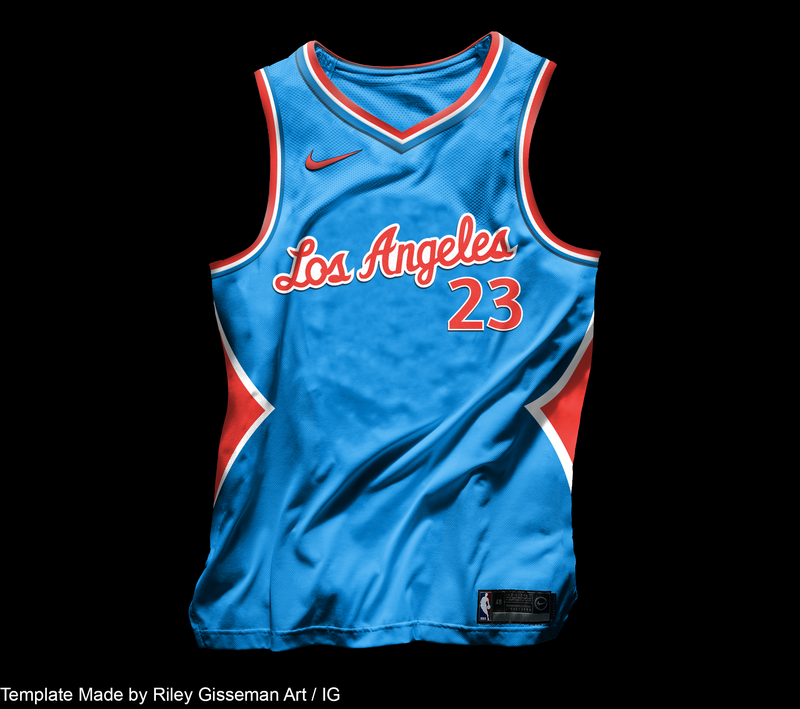 Not a huge deal, but I'd be happy to see a royal blue away, and a powder blue alt. Sorry to get so down. 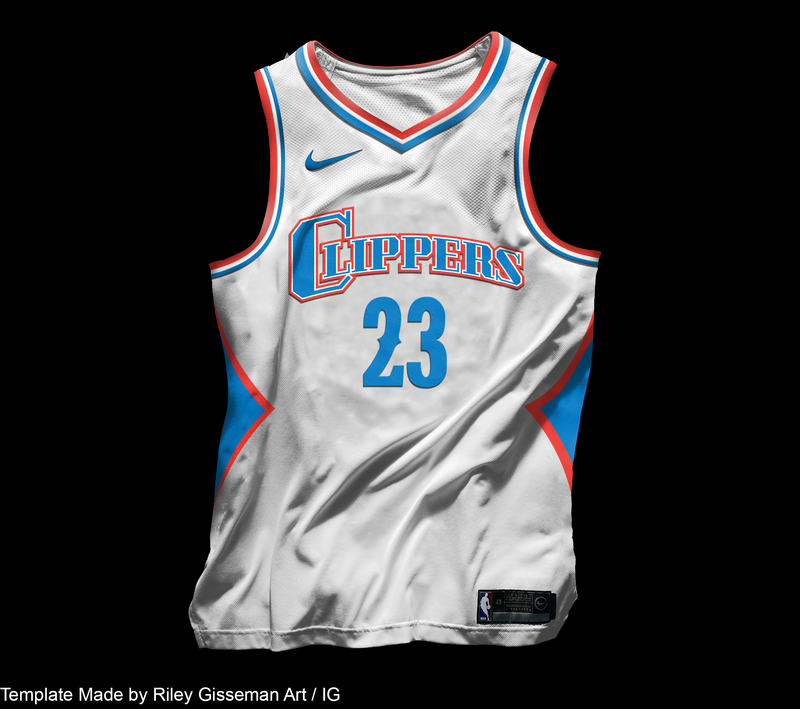 I do really like the blue jersey, with its script & sans serif number font, and the triangle side panels fit the logo well! Way to bring back the great SD-era logo. Your Houston updates look good, too!